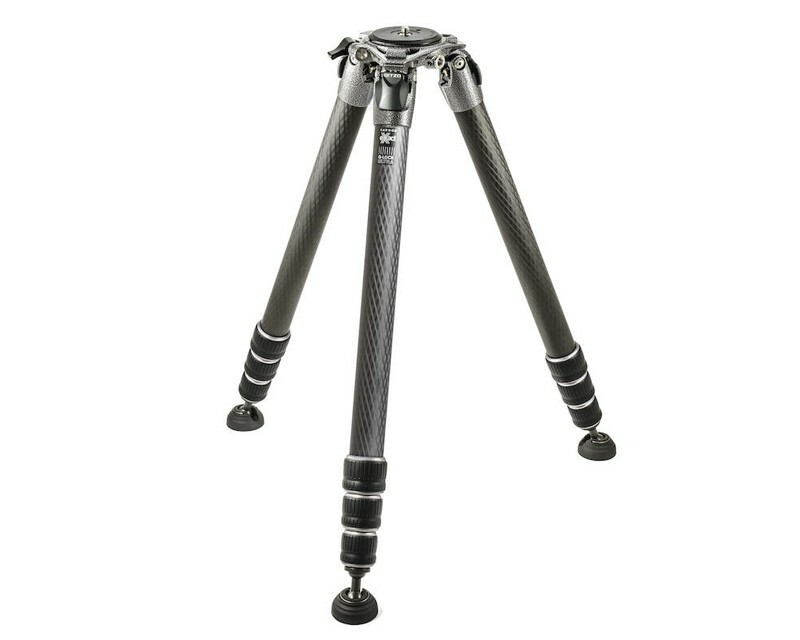 The new Gitzo Systematic tripod range is the choice of exacting professional photographers who use long lenses and heavy cameras. The GT4543LS is the long 4 leg section model with a height of 158cm. Systematic is the choice of exacting professional photographers who use long lenses and heavy cameras. 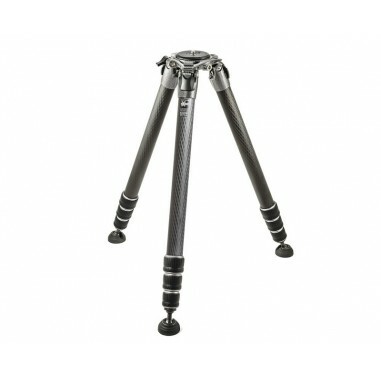 Not only are the Systematic range Gitzo's strongest and most stable tripods, they are also modular, with a top casting element that opens and closes to allow each tripod to be configured with a flat disk, geared or sliding center column, video half-ball adaptor, leveling base or other Systematic accessories. 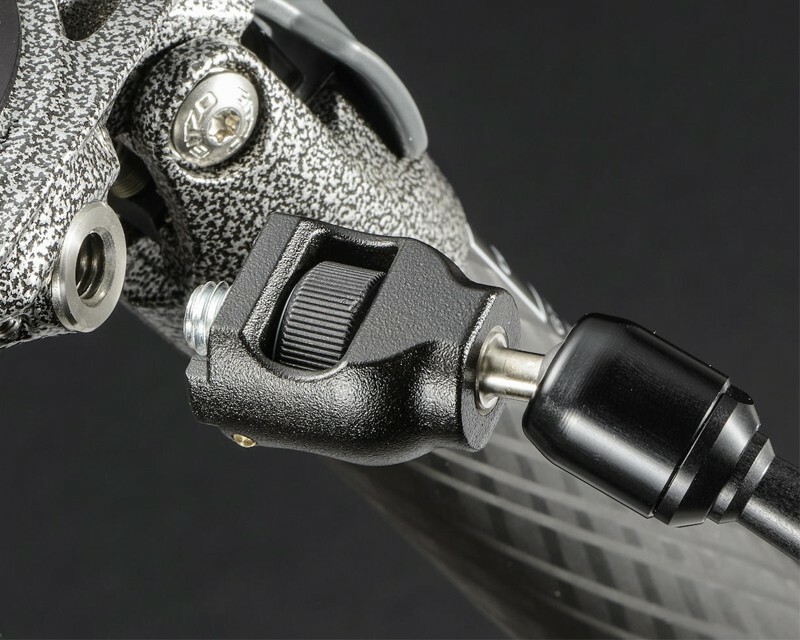 The latest Gitzo Systematic range features new Carbon eXact tubes, new ultra-stable feet and the Easy Link attachment, making the Systematic even more stable, versatile, and ergonomic. The Easy Link attachment (3/8'' thread) allows the user to attach various accessories such as a Manfrotto arm to use lighting accessories. 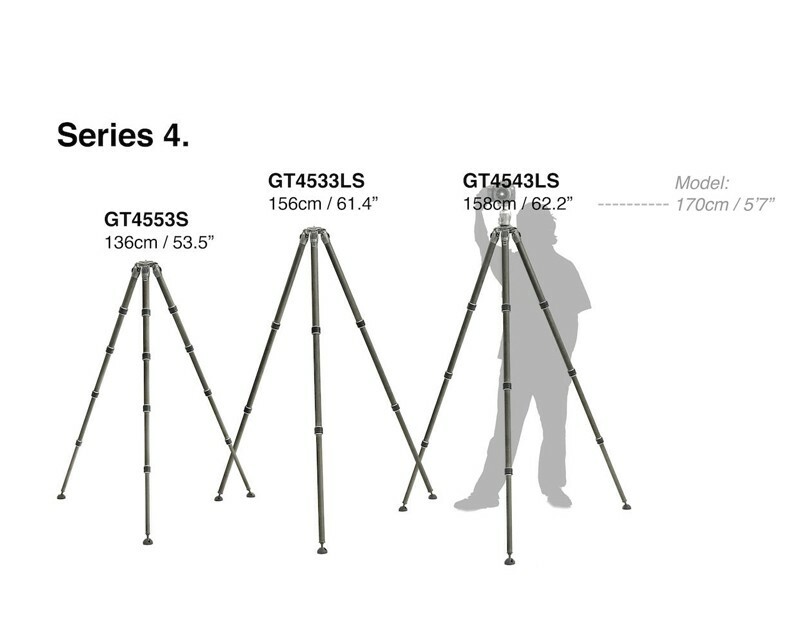 The GT4543LS is the long 4 leg section model with a height of 158cm. 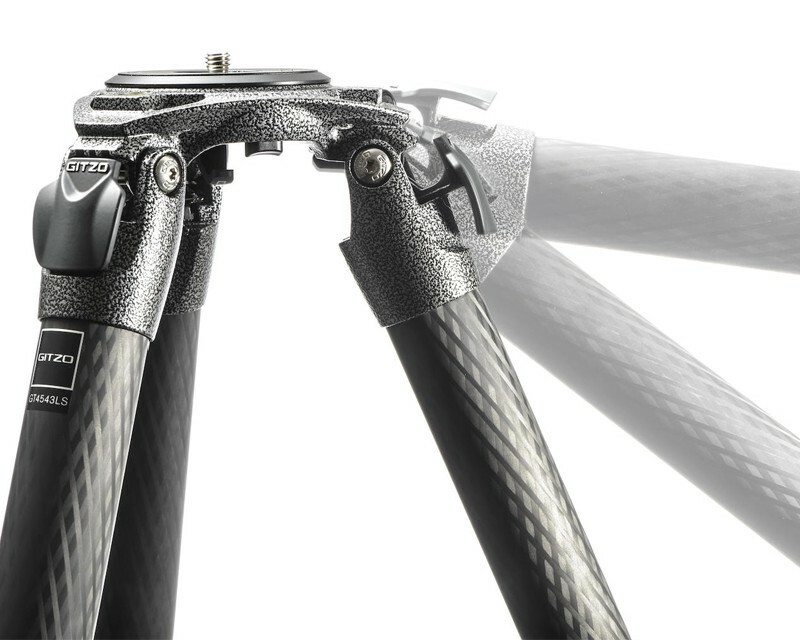 Ultimate rigidity - The legs have been updated with the latest Carbon eXact tubes to make the ultra-stable Systematic Tripod even more stable. 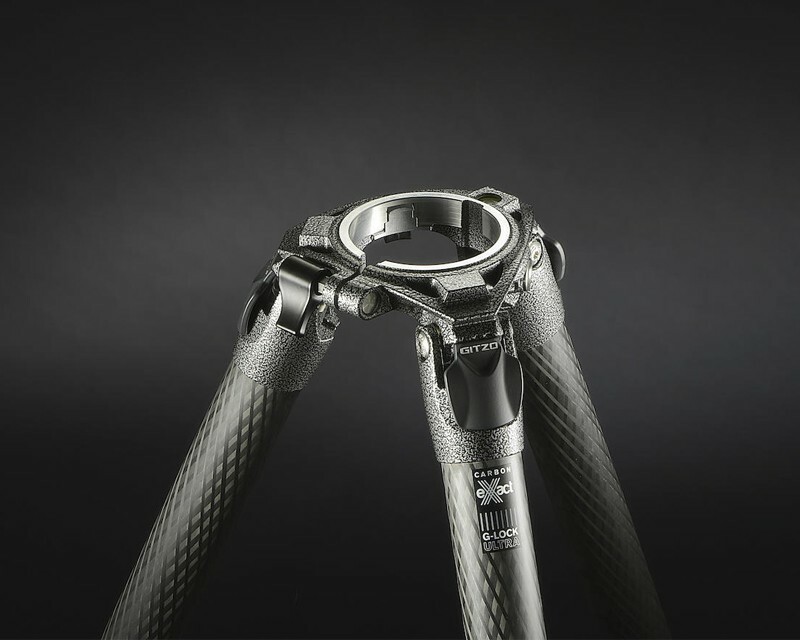 Carbon eXact tubes optimise fibre composition for each tube size, to make the narrower tubes stiffer, and the wider tubes lighter compared to the former range's Carbon 6X tubes. New larger feet, 50mm in diameter with an integrated ball. 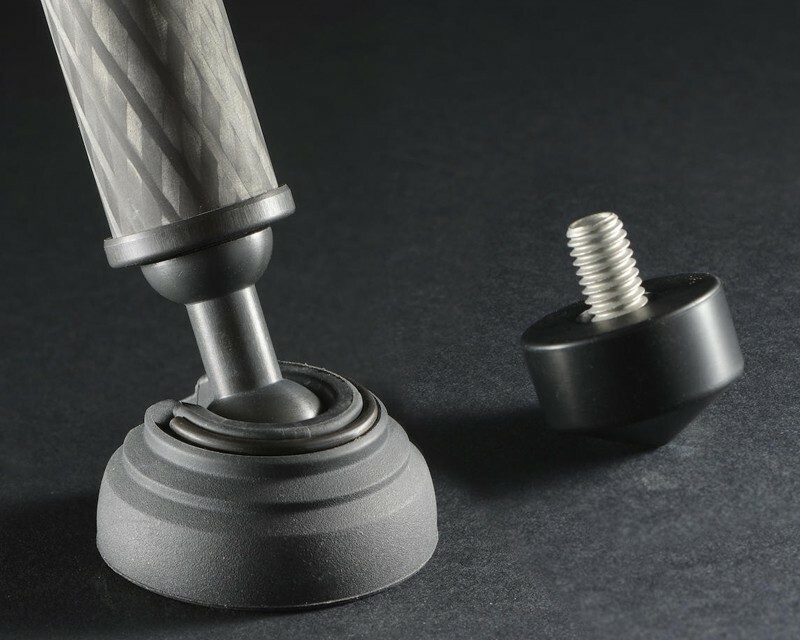 These provide improved stability by preventing slipping and movement. Standard feet (33mm) are included as well. 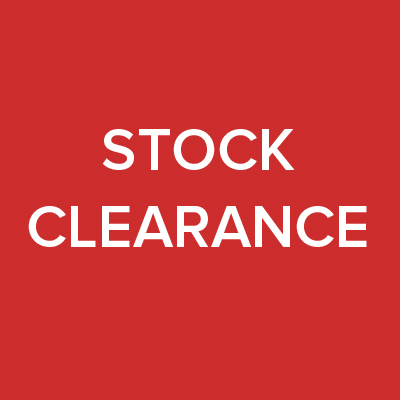 Improved functionality - New G-Lock Ultra leg locks improve ergonomics and reduce the risk of dust entering the locking mechanism. New & improved leg angle selectors offer more grip room, and feature a built-in spring to help speed up switches between the 3 leg angles.